lounge Sets - LIVING AND CO. Wonderful design lounge sets with a Scandinavian twist to chill out in hours. Wind and weather proof! Beautiful Bloomingville Vida outdoor bench. This Bloomingville Vida bench is specially designed for outdoor use! The frame is made of bamboo, the seat of black polyester. 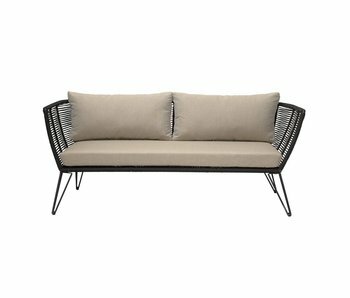 Beautiful Bloomingville Vida outdoor daybed. This Bloomingville Vida daybed is specially designed for outdoor use! The frame is made of bamboo, the seat of black polyester. 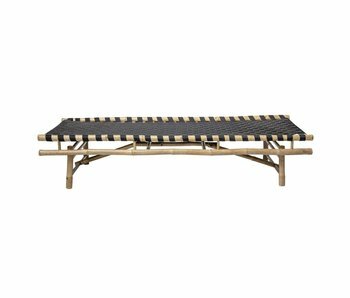 Beautiful Bloomingville Sole outdoor daybed. This Bloomingville Sole daybed is specially designed for outdoor use! 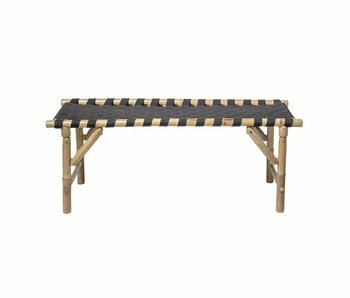 The frame is made of bamboo, the cushion of polyester. Beautiful Bloomingville Sole outdoor sofa. This Bloomingville Sole sofa is specially designed for outdoor use! 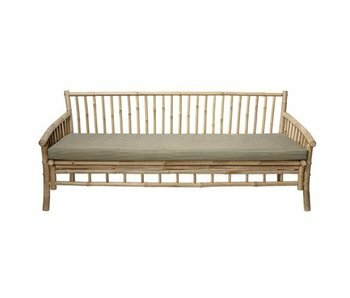 The frame is made of bamboo, the cushion of polyester. The TRIMM Copenhagen Lounge chair has an interior filled with EPS beads. 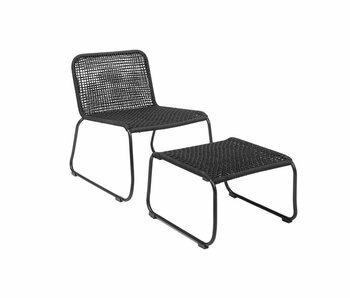 The chair is ideal for outdoor use, but also stylish and very useful indoors. The material is a coated fabric that can withstand wind and weather. The TRIMM Copenhagen Rocket is a bean bag lounger filled with EPS beads. It is ideally suited for outdoor use, but also stylish and very useful indoors. The material is a coated fabric that can withstand wind and weather.